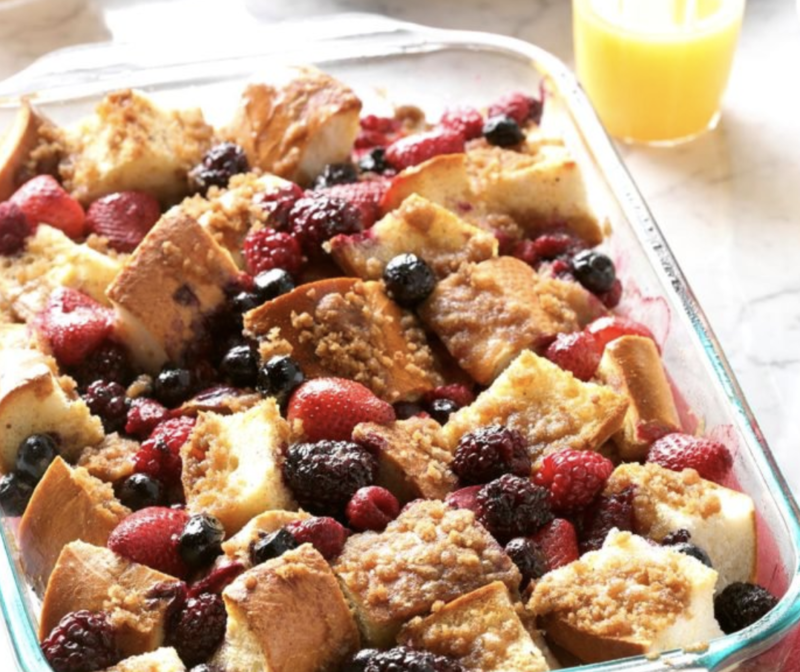 You'll never look back after using Milio's French bread in this delicious French toast bake. Whisk together first six ingredients. Place Milio’s bread cubes in a 13×9-in or 3-quart baking dish coated with cooking spray. Pour egg mixture over top. Refrigerate, covered, for 8 hours or overnight. Preheat oven to 350°. Remove berries from freezer and French toast from refrigerator and let stand while oven heats. Bake, covered, for 30 minutes. In a small bowl, cut butter into brown sugar until crumbly. Top French toast with berries and sprinkle with brown sugar mixture. Bake, uncovered, until a knife inserted in the center comes out clean, about 15-20 minutes. Okay, so we can’t actually email you sandwiches, but we do deliver. Join Milio’s Sandwiches email list and you’ll be the first to know about coupons, sweepstakes, announcements and more!